Our Winter Fair was a great success. We were entertained with music and dance performances as our Rockmount Choir and Dance Clubs showcased their talents. Many of us enjoyed our first Christmas roast dinner of the festive season along with some delicious mulled wine. We were grateful to the stallholders for providing such varied and high quality present buying opportunities. Our School Council worked hard to organise their “Lucky Bag” stall which was popular and sold out very quickly. 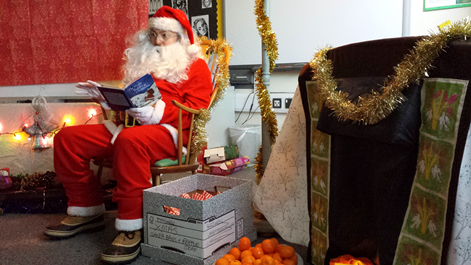 Many children had the opportunity to meet Father Christmas and his trusted elves in his fabulous Grotto. A big thank you to all those who worked hard to organise the day and to those who attended and gave their support.